Being adopted has always been an exciting journey for me. I thoroughly enjoy almost every little thing about it, but the one thing that sometimes gets to me is I do not know anything about my medical history. For me, this is extremely important because I take pride in my health and I always strive to do better. 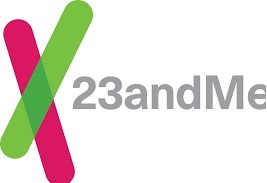 Therefore this summer, for my birthday, I asked to have my genetic health mapped. I became eligible for many health studies because of my age. This sparked my interest in many different companies then I looked around a bit to see what was best for me and ultimately ended up using 23 and Me.The reason I picked them was because they have a very large data base and it would be more specific. I will get a full ancestry report along with the health portion. We did not get around to ordering the kit until a few weeks after my birthday but I was just as excited when my little spit box arrived. I put it off until a few days later because I was very busy. When I did open it ready to spit, I found out that I had to be food and drink free for 30 minutes prior because they didn’t want other partials in my spit. So I then put it off one more day. The next morning I woke up excited to start my genetic mapping journey. I rushed into the kitchen where my box had been waiting for me and spat. After I filled it to the line I popped it and shook it for the allotted amount of time. After this you register your spit and answer all kinds of questions ranging from ‘Do you know of any cancer in your family?’ to ‘Is your right hand your dominant hand?’. After answering hundreds of optional questions I sent it off starting its long journey to California to see what I’m really made of.